A number of big changes are coming to Oholei Torah, beginning with the elementary division’s longtime dean, Rabbi Hershel Lustig, retiring at the end of the year. Rabbi Sholom Goldstein, the 7th and 8th grades’ principal, will be stepping down as well. Parents received this news today in an email from Rabbi Joseph Rosenfled, updating them about the appointment of a new principal, Rabbi Michoel Druin, who was hired to be the interim dean and principal for the 7th and 8th grades. He replaces Rabbi Sholom Goldstein, who was hired in 2010 amid restructuring in the entire elementary divisions. According to Rabbi Rosenfeld’s email, the new school board indicated at the beginning of the new school year that this would be Rabbi Lustig’s last year as dean of Oholei Torah. “Rabbi Lustig has seen tremendous growth in the Elementary Division and the thousands of talmidim that were educated under his term is a testament to his care and wisdom,” he wrote. 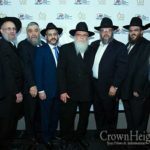 The email further says: ”after an ongoing search for a replacement, the Board of Directors has hired Rabbi Michoel Druin. Rabbi Druin will be the Principal of the 7th and 8th grade mechina division, to replace Rabbi Sholom Goldstein, who will be taking a position in the administrative offices. In addition, Rabbi Druin will take the position of Interim Dean for the next two years. Maybe not now, but it will happen, as the people now demand it, for god reason. while teachers who hit and did other things to children during his years he was always there for the students and got those teachers fired. Its time to start teachong 1+1 at ot. Rabbi Lustig has been amazing for Oholei Torah. I can remember his first years. I also did a short series of newsletters a few years ago. To get the material I spent a lot of time in school, sitting in on classes and speaking to students. I even stayed for detention to get a feel of what was going on there. Rabbi Lustig has earned this chance to step down and take a break from this high pressure position. I wish him long years with good health and Nachas. as a former student, i can say rabbi lustig had a good outlook for the school handled it really well when there were 2 grades pr class, but now that you can make from one grade a whole school, he was not able to keep up with it, it was just too overwhelming, its like yisro told moshe there has to be a hierarchi, and you cant do it all, over all he is a good man and should be remembered as one. Congratulations. I guess they’ve made the chinuch office and kaplan irrelevant (they must have gotten busy with other important matters) That is the real news here. a university graduate should run oholei torah? its a setup for failiure. 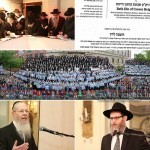 13 14 yerolds need a rosh yeshivah, a lamdan, not a school principal. You are the reason our kids are leaving the path. Why can’t one be both? You are the one causing our children to make stupid choices. You are holding our children down and forcing chazer down their throats. You are the one telling them not to put on Tefillin daily. It’s YOU! What kind of stupidity is this? The Rebbe spoke against going to university, and you have the chutzpah to say that someone who went to university shouldn’t necessarily be our childrens’ role model? You are so backwards it’s mind-blowing! Are not taught in University, that’s fire certain. You obviously don’t have any children of school age, and if you do you must be blind. Our children do not relate to the older generation. They do not enjoy learning just because it’s learning. They need reason. They need to know why. In the older days, we didn’t have to go to yeshiva to be taught our Yiddishkeit. Unfortunately today’s age is different. They need someone who they can relate to, to explain the why’s of everything in yeshiva. Would you rather our children fry out and go to college? Or if they go to college they can know that they are able to remain frum? Rabbi d seems like the perfect role model. That you can be frum and have gone to university. Not to say that you have to go to college, but if you do.. The Rebbe also had no problem of people going to university after marriage. Let me ask you a question: would you take your child to a doctor that has the best degrees and best credentials? Or would you say that cv to take my kid to a doctor that has degrees because I’ll be teaching him to go to college? You realize how foolish you sound? Oholei Torah needs to be healed. And they got the best doctor around. I wonder if any of this VAAD members has any qualifications to make decisions regarding the future of Lubavitch’s largest cheder? How much was their involvement in education beyond their own kids? I guess this is one of the many side affects of the current situation. As a smart person said: Der Rebbe lives and everyone does whatever they wish. Was never such a “GREAT” time in Lubavitch. I hope this won’t detract from the special atmosphere of OT. My kids received such a solid foundation there which instilled them with a special Chassidishe pride and grounding. I am sure Rabbi Lustig shared a part of creating this unique atmosphere. I grew up on shlichus and as such did not attend OT for elementary school. I did attend as a guest several times when I came to NY and have fond impressions of Rabbi Lustig. I was in OT for mesivta and zal and I became close with many of my classmates who were born and bred OTniks (after passing the smell test of course -;)). To me there was never a question that you are talking here about a TRUE mechanech with emeseh chasidisheh values but at the very same time was years ahead of the curve. Ask anyone who knows OT from his earlier years. The typos and errors in the comment section are proof enough that it is time to teach basic reading and writing skills in the OT yeshiva system. I’m just a dumb OT’nick but I cannot for the life of me see how you deduced (too long of a word? It means reached a conclusion) that from this comment section. As of now, there is only ONE comment written by a former student! Surely your superior education has taught you that you cannot judge an entire institution by ONE comment! Some of my Boys went through OT under your leadership and some still are, the least I will say is you’ll be very much missed. You caring, warmth and dedication to each talmid is very unique and speaks volumes about you. I spent nine years in that building (Pre1-A through 8th grade). I was actually in Rabbi R’s class in the sixth grade during his last year, 95/96. OT was a terrible disaster (I can’t begin to go through all the horrid details). Rabbi Lustig did everything humanly possible to keep the ship moving. In the 90s there was a thousand kids….and that was 20 years ago….you could imagine the size of the school, and his responsibility over as the years progressed. Rabbi Lustig always dealt with an overflowing plate of duties. You have no idea how bad a school OT is and how many people are involved. It’s a massive operation with so many moving parts – it’s pitiful to make a kurbon out of your most devoted player. He kept the place moving so it didn’t “burn to the ground” and so a thousand boys can get a relatively low level education for nearly zero dollars, with a government sponsored kosher lunch included (and breakfast when the inspectors came) but when you start minyan we got the lavish breakfasts :-). I’m not actually joking here. BUT, Rabbi Lustig is and was a super star for 40 years. He did as much – and more – then a single human can physically and emotionally do. d) if he’s the “sole responsible party” then how come he doesn’t get any credit….you know, for all the mediocre accomplishments? To be clear, I don’t blame for OT’s “mediocre accomplishments” on Rabbi Lustig, I am merely saying if he’s the “all guy” then why didn’t we see the reverse? Okay…. if that’s the story, then yeah, horrible move to allow him to stay. It was irresponsible on the school’s part. They probably didn’t consult with Dr. Hemana, but they should have on this issue. So we all agree – yet another extremely STUPID move made by OT! So, assuming for a second that nearly 20 years ago Rabbi Lustig made that entire decision on his own – it actually worked out. Easy JCW – let me finish – I know you guys aren’t good about other people’s opinions and if others talk it must be they condone child molestation – because certainly you are the only ones who cares about children. So before you are about to do to me what you don’t want done to the victim….. bullying, harassment etc, take a deep breath, call your therapist, and then maybe finish reading my post. So, Rabbi Lustig’s tactic (assuming for a second it was all his decision) turned out to be right. He watched Rabbi R. really closely. I was in that class, and no one was hurt/touched. Again, OT made a stupid choice, but lucky for them their gamble paid off. So, here we are, a very stupid gamble was made, but no one was hurt. So it appears his decision turned out okay. You should never drive irresponsibly. But if you do, but nothing happens that doesn’t mean you should pay the price ‘as if something happened’ even though it didn’t. You certainly shouldn’t do it again, but you can’t pay the price for potential damage. Firing your best asset in hopes of gaining public opinion (I mean backing away from the wrath of Benny Forer and Meir Seawald) is inappropriate. Rabbi Lustig didn’t god forbid touch anyone, and didn’t allow anyone else to touch anyone. I am sorry this happened, but when he found out, he did the best he was able, and you know what, no one was molested as soon as the matter serviced. I was there in 95/96 in that class….and so can the other 23 kids attest to the fact that none of us knew anything he had done the previous year. I only found out years later. Its very sad that happened, but painting Rabbi Lustig in this light is dishonest to the true realities. I hate OT with a passion. It’s a bad place for children’s development, it doesn’t offer a healthy environment in any regard, it does not harness growth, it is not a loving or caring school – but rather a cold, off putting drek hole. The fact that they don’t teach English is number 25 of the list of things that’s wrong with it. There were some special people that worked there, but too few. The few super stars you did have dropped dead. HOWEVER, you did the best you were able and no one can ever take that away from you. You are extremely hard working. You were personally nice to the students and parents. You were kind. You were a mentch and you were honest. There’s no expectation that you can control every single teacher at all times. You couldn’t replicate yourself into every classroom. You were but one man. I hope Rosenfeld will rethink decision. In the mean time, “men zyn great un’tzuhaiben davenen mincha. Ich bet as bshas hatfila der gantzyt vee meer iz gefirenzich in shul fun yetz beez nuchen davenen zul zyn in gantzen shtil. Unbeknownst to the new Vaad, OT’s elementary is the crown Jewel of chinuch al taharas hakoidesh. Lots of preschools don’t have any secular studies either. But Oholei Torah Elementary school is a place where “nimna hanimno’ois” happens daily for the past 60 years. 1) you are getting rid of the one who stood at the helm for the past 40 years. 2) You a bringing in a yovon arein in sukkah. Rabbi D is clearly a very talented, educated and accomplished man, but the wrong man for the job. And don’t tell me Rabbi Lustig is leaving himself. Even if that’s the case, figure out a way to convince him to stay. What are his chinuch credentials? He seems to like to make a lot of noise. and all the schools just follow his garbage like a heard of sheep. will he be supporting JCW ? The kids cannot get anywhere if there is any sick’os there. Interesting that we’re worried about a university degree. The Rebbe had a university degree. Kids are going off due to abuse of various sorts. You all have limited scope of understanding HaShem’s creatures. Get real. o-t is the rebbes yshiva & not a politicil you have to remeber to ask yourself is this what the rebbe whould want.. vedal! that was a really not nice thing to write on a public site you should be ashamed of yourself!! I have no idea why my name is mentioned, nor your theory on my “wrath.” I find your comment to be offensive and defamatory, in addition to being completely untrue. I actually had absolutely no involvement in any part of the Lustig story.